Photo: Chris Gunn/NASA, courtesy of Northrop Grumman. 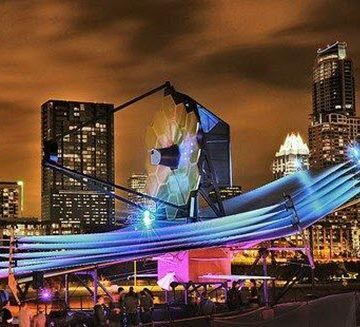 Thousands gathered at the South by Southwest Festival to view a full-scale model of NASA’s next generation space telescope. New technologies such as this will inspire and challenge a “new breed” of engineers. This post was contributed by Glenn Bell, CEO at Simpson, Gumpertz & Heger. The world in which today’s engineer works is changing at an enormous rate. Many of these changes are unsettling and will surely change our profession in a profound way. 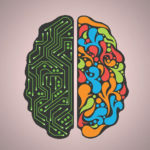 For example, computers and other forms of automation are replacing much of the effort we engineers have supplied in the past, commoditizing our business and leaving us wondering what our future roles will be. At the same time, I have been inspired by a young, new breed of engineers who have the vision and ambition to play a much more impactful role in making the world a better place. However, they don’t feel empowered or equipped to do so. I believe our profession is at a crossroads. The positive path of this fork in the road offers the next generation of engineers a tremendous opportunity to meet its vision to be leaders in helping society meet its grand challenges. This vision would be met by a new breed of engineer, more broadly capable than ever before – more creative, collaborative, and communicative. We all must work together with great energy and urgency in this inspiring direction; the alternative path of the fork threatens our being steamrollered by continued automation and global competition. We all know about the leading trends for the future – globalization, sustainability, hazards management, and societal and technical complexity. If we look 40 years into the future, we see a new global practitioner working with varying technical standards and indigenous materials and techniques, one who sees his or her role from a societal context, who is able to define society’s important problems and not just solve them. That new engineer will help craft, and not just implement, public policy, and carrying out those plans will lead collaborative teams. To be that collaborative leader, tomorrow’s engineer has to be dynamic, agile, and flexible. And most importantly, great collaborative leaders must be great communicators, orally and in writing. As problem solvers, we engineers are taught to break problems down into smaller and smaller pieces. Tomorrow’s engineer should be able to engage in lateral, functional thinking as well as vertical, in-depth thinking – to synthesize as well as analyze and integrate complex systems. To do this we must be able to span disciplinary boundaries. The new breed of engineer must be able to embrace problems of uncertainty and, most importantly, help others understand uncertainty and make good decisions in the face of it. Balancing risk and reward among project team members is an important strategy for providing value through innovation. We need to accept ambiguity as a new permanent condition. While many things about the engineer of the future already look different, we must not only retain, but also strengthen, our solid expertise in technical fundamentals. Blind overreliance on computers can erode our ability to make reasoned judgments that involve common sense and intuition. So how do we develop all the competencies of this future engineering leader? We must first take as a given that engineering will require an ever-increasing commitment to lifelong learning. There will be no coasting, so we need to sort out what we expect from each of the phases in the career-long spectrum of a professional’s development, from formal university training, to prelicensure internship, to postlicensure professional development. Currently we have redundancies, gaps, inefficiencies, and missed opportunities in our system. We expect too much from the undergraduate curricula, and as a consequence it is getting watered down. As a general strategy, the earliest material addressed in an engineer’s development should be that which is most fundamental and most likely to be invariant over the course of a career. The changing stuff should be left for later, most particularly on-the-job experience and continued learning. In the future, the undergraduate degree should deliver a broader body of knowledge with less urgency for technical specialization. The bachelor of science in engineering should assure a solid grounding in the foundational requirements for math and the sciences, particularly chemistry and physics. A broad curriculum of engineering fundamentals should be stressed to provide the engineer with a solid grounding in analytical and problem-solving methods that will be needed throughout his or her career. We should expand our focus on the humanities and social sciences. This will lay the foundation for soft skills like problem solving, leadership, entrepreneurship, innovation, and communication. Similar to other professions such as medicine and law, the graduate engineering degree should be considered the accredited professional degree. This should be not only where technical depth is delivered but should also include continued content on professional practice. I believe we will come to terms with the fact that even 30 credit hours of graduate education are not enough. For some specialized areas of engineering, we need twice this. Looking beyond formal university education, we should raise our expectations for the engineer-intern experience. Here we can model some of the better practices of medical residency, wherein engineers in training would be exposed to a sufficiently broad set of experiences through a sort of rotation that is coupled with continuing formal education. Engineer interns could more directly “shadow” the professional engineer mentors rather than merely acting as their assistants. What about ongoing education and professional development in the decades of an engineer’s career after licensure? To bring more structure to the notion of lifelong learning, we need to develop bodies of knowledge for continuing education. In my own firm we invest significant amounts each year in developing and delivering custom-made professional development for our staff and managers. I know many firms in our industry do the same. This is wasteful and ineffective. We need to define our expectations for this critical period of professional development and share resources. I love this great profession of engineering. We cannot let it wither and die. For engineering to meet its future challenges, we must radically redefine the relationship between practice, education, and research. These three endeavors should be so integrated as to be inseparable. Research should lead immediately to innovation, leading then to teaching and learning, then feeding back to more research, innovation, and teaching. We need to strengthen the connection between academia and practice through a greater number of practitioners teaching in universities and exposing more professors to practice. Again, we can borrow from the medical profession in this regard. We should not underestimate the challenges inherent in driving change of this magnitude. To many, these changes will be frightening and threatening. We can expect inertia and resistance from many sources. So we must overcome our fears and inertia and lead change now. I love this great profession of engineering. We cannot let it wither and die. If we work together with passion, energy, focus, and unyielding determination, we can take this great profession to even greater heights, and in the process change the world. No one sector of engineering can make this happen on its own. How will you get involved? How can you help make this sea change a reality? Glenn R. Bell, is Senior Principal and Chief Executive Officer of Simpson Gumpertz & Heger in Waltham, Mass. However, more education to a master’s degree will not obtain this objective. I have taken upper level courses and to a strict fact, the course-work did not cultivate leadership, creativity, collaboration, or communication. It was all about grades and competition. I am in total agreement that engineers need to be leaders, have more creativity, encourage collaborative efforts, and effectively communicate. Therefore, the question that should be asked here (for you problem solvers) is what is the root problem(s) and how can it be solved. First, the age-old mantra of more education started back in the 1960’s. It began of the undermining of all the professions to include the Law Profession. If you were to ask a practicing attorney, “can a recent graduate from Law School, who passed the BAR and is licensed to practice, actually perform?” His/her answer would be no. This should lead one to belief that more education does not and will not ever replace the actual experience obtained in the actual doing. In this light, we should look at how individuals in professions were trained before the educational revolution, and thus recognize the importance of OJT. This type of training was highlighted in the article via how doctors are trained. Currently, most states require at least 4 years of experience under a licensed professional. Maybe we should be looking at increasing this requirement to ensure the individuals can meet future expectations. Maybe we should require or develop more internship programs as part of the under grade degree program. Next, in the article, it noted that there were issues with bachelor’s degree. This is the next place to evaluate needed changes. First, the educational experience needs to foster creativity, and not just the ability to crunch numbers. Hence, the curriculum must require the inclusive of creative type material such as the arts. Next, to encourage collaborative efforts, the projects in engineering curriculum need to be conducted in both a group and individual formats. Lastly, the engineering curriculum needs include more efforts in developing communications skills, which can be accomplish via additional requirements for the presentation of projects, writing assignments, and ect in the current required curriculum. Lastly and most importantly, is how to develop engineers into leaders of society. I do not think there are any classes that would help in this matter. We need current leaders in our profession to step-up and lead by example. We need at least one individual (hopefully more) in the political arena. In this regard, when was the last time an engineer ran for a major political office? It is from the political arena that engineers could give the biggest benefit to society based just on our problem solving skills. Glenn has framed up and delivered a superb article on the development of the next generation of civil engineers. I could not agree more with the positions he set forth in this piece. Continued slippage of the profession toward irrelevance is clearly what we cannot tolerate and what we must avoid. When one considers the large-scale challenges that we face today — security, economic viability and vitality, social structures and standards of living, environmental quality — civil engineers can play a vital role in each of these areas and add substantive value. Our future as a profession will be closely tied to those we serve, to information technologies that make information comprehensive and immediate, to factors such as energy and the environment, and our individual and collective abilities to lead in a global marketplace. In professional practice, civil engineers will be engaged in the technical details of their profession. They will also be immersed in the economic, social and political details with a realm of project stakeholders. They must be prepared. They must be ready. The poet William Yeats has written that “Education is not so much as filling a bucket as it is lighting a fire.” For too many decades, civil engineering education has filled a bucket. While that bucket has been an important vessel, it’s time to light a fire. 21 N. Park St., 7th Fl. I agree with Glenn’s assertion that the engineering profession is at a crossroads. I would take it a step further by saying that it is one of many paradigm shifts the profession is experiencing. The next generation of leadership has begun taking the helm and the generational differences are significant. In my assessment, engineers of the future must have skills in effective interpersonal communication, project management, and ability to adhere to budgetary constraints. Lifelong learning is a key as it it with any profession, but I must take exception with the graduate degree. Some of the most respected civil engineers I’ve known didn’t even maintain a P.E. license. A commitment to lifelong learning doesn’t necessarily require an advanced degree. It’s a mindset that is reflected in proper practice of the discipline and self-improvement through reading, continuing education, etc. I couldn’t agree more with Glenn’s thoughts. We need to recognize the changing times and work to advance our profession! Glenn has offered a great perspective on how our profession will need to evolve over the next several decades. As a profession, we can either adapt or sit back, do nothing and concede responsibility to others more willing to do whatever is necessary to get educated, stay current with technological changes and make the commitment to life-long learning necessary to meet future societal needs. Others will step in and assume the mantle if we as a profession fail to adapt. Engineering will then become a commodity and a trade, not a profession. Especially for those of us who practice as licensed professional engineers, we can’t possibly think that a bachelors degree will be adequate for licensure 10 years from now as the body of knowledge expands exponentially and credit hours continue to trend toward 120 credit hours to graduate. Every other profession remotely comparable to engineering has determined that a bachelors degree while important, simply isn’t adequate for entry into licensed practice in their profession. What makes us engineers think we are different? Excellent article. Very we’ll thought out and articulate. It bogles my mind think about how we will attempt to achieve this and, how skilled and talented the future engineer must be. I agree with Glenn’s call to action to make this ‘sea change a reality’. As a PE, and member of ASCE, I am driven by a deep desire to help cross-disciplinary teams collaborate on increasingly complex projects, which as Glenn points out, is the wave of our future. What tools and management frameworks could be taught to our students to help prepare them for a world of complexity, to remain creative in the face of seeming chaos? We are beginning to adapt ideas from software development (Lean/Agile), while new disciplines are being developed to support collaborative work in research (Team Science). I have given talks on innovative approaches to complex projects, which have been well-received, and developed workshops to teach these approaches. Yet I have much more to do- teach, practice, write, learn, and continue to evolve along with the world’s projects – not least of which is sharing my practical knowledge and experience with (and learning from) the next generation. No coasting here! I agree with much of what is said in this article but I’m sorry but I just cannot agree that the masters degree should be the professional degree. Yes, there is much to learn about the engineering profession and certainly some disciplines require more study to effectively practice, however recommending the entire profession seek the same level of education is akin to a suicide pact for the practice of engineering. Student loan debt levels in the United States have hit an all time high and costs for post-secondary education continue to climb as well. At the same time salary levels for engineers are not climbing nor will they ever be near what those practicing medicine or the law will earn. We are seeing a widening delta between the debt a new engineer enters into the profession with and what he/she can earn when their first payments on student loans are due. Is it responsible as a profession to sentence our members to decades of debt payments on both a bachelors and masters degree if we aren’t willing increase compensation? If firms want engineers to have this level of education, they need to invest in it (either through continuing education or tuition reimbursement), not shoulder people with such a burden who want to get started in the profession. Furthermore our profession is not as stable as medicine or law; market pressures sway the utilization of engineering services far more than those other professions. Individual citizens will routinely in their life have to make use of the services of a doctor or attorney; the same cannot be said about an engineer (how many of us have an annual checkup with a PE?). Government and business budgets drive our profession so a change in the political climate or downturns in the economy (such as during the Great Recession) could put result in masses of engineers being unemployed. It is responsible to increase the education debt to practice our profession when we cannot promise the same level of job stability as other professions? If we raise the education bar too high without addressing these and other issues we risk discouraging today’s children from becoming tomorrow’s engineers. Engineering as a profession will always evolve, but we have to be smarter about developing our future than making what might be an socially irresponsible statement about what it will take to practice.